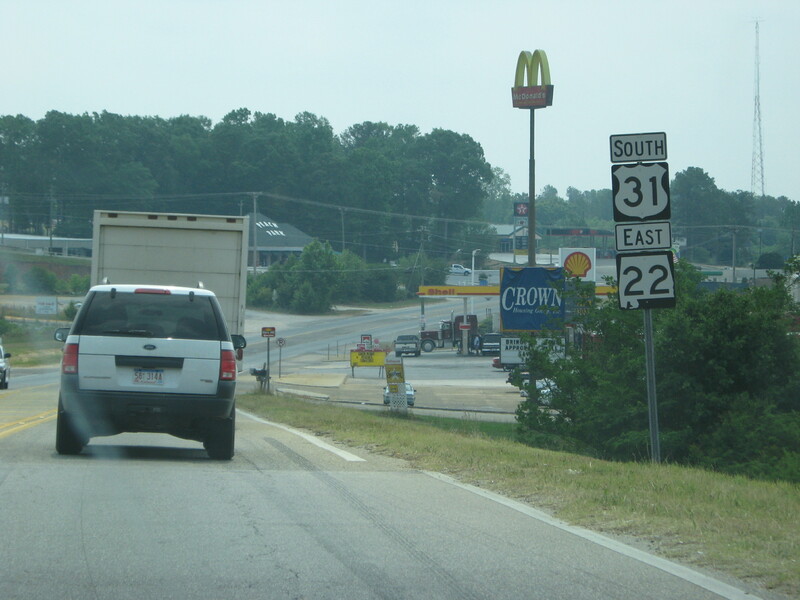 Alright, we're way up in Clanton, now, on US 31. 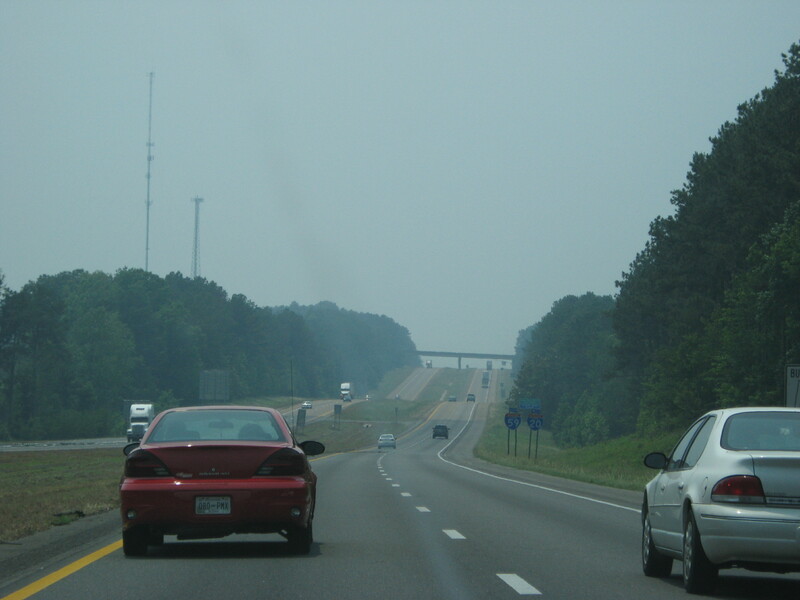 I took this because we're in the middle of Alabama (between Montgomery and Birmingham) and there is a hurricane evacuation sign. 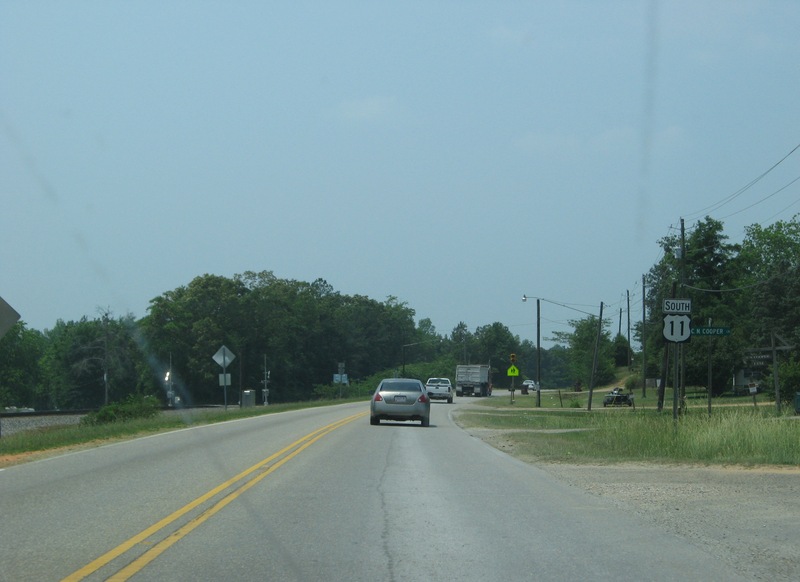 AL 145 North out of Clanton. 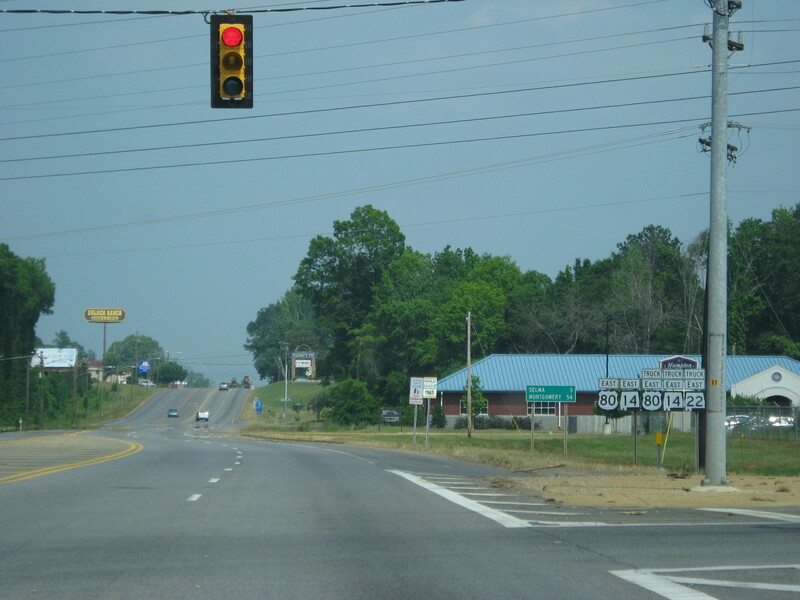 An old I-65 shield in Clanton. 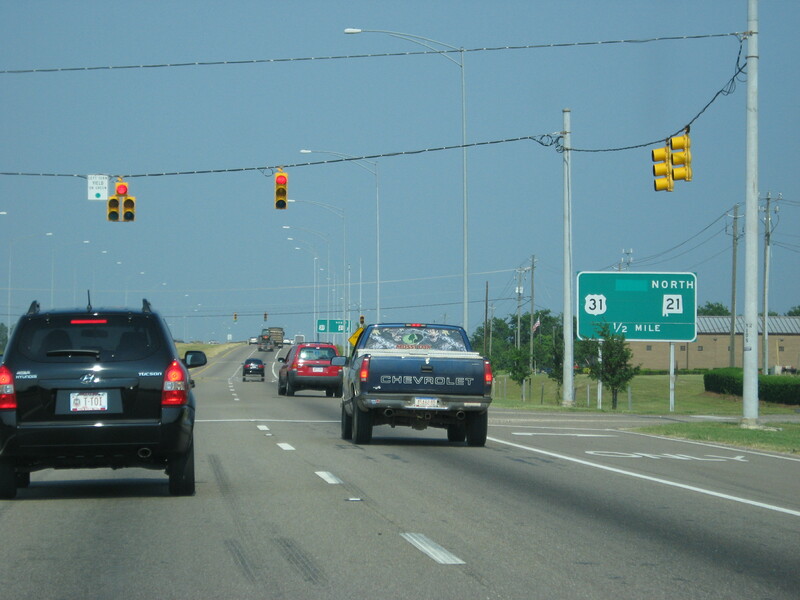 SB US 31 and EB AL 22 connect for a few miles. 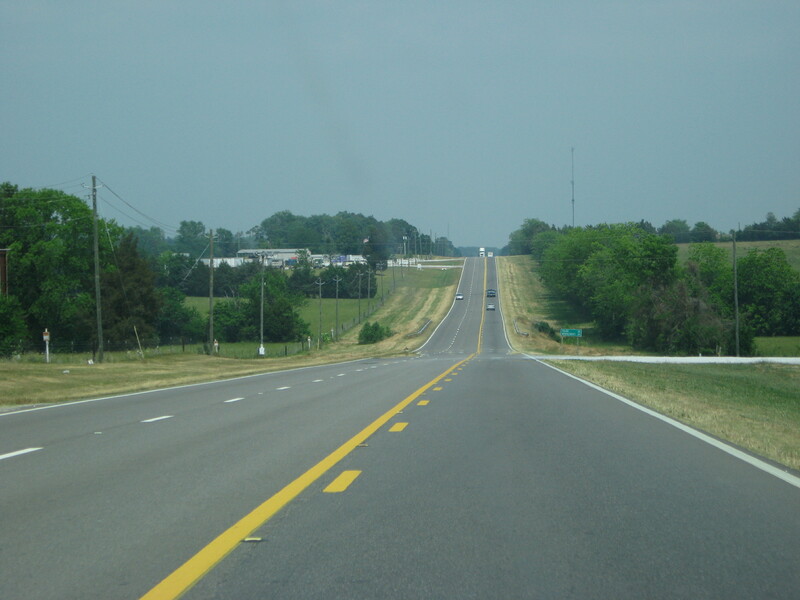 And this is what those two roads look like while they are together. 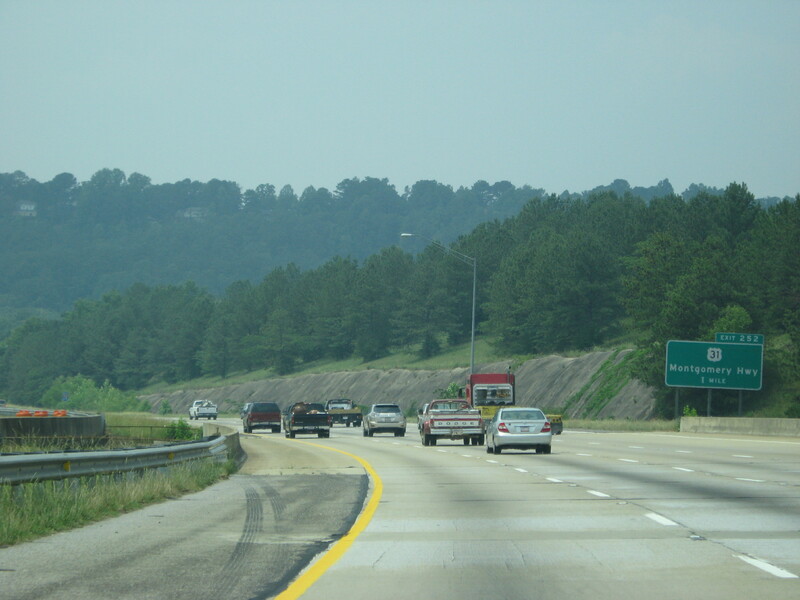 I-65 North getting into the Birmingham area. 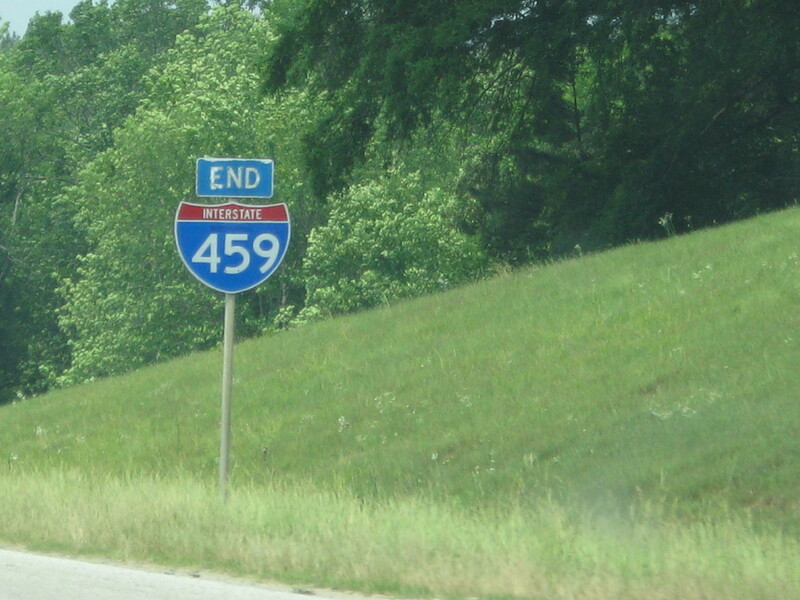 I-459 is ahead. 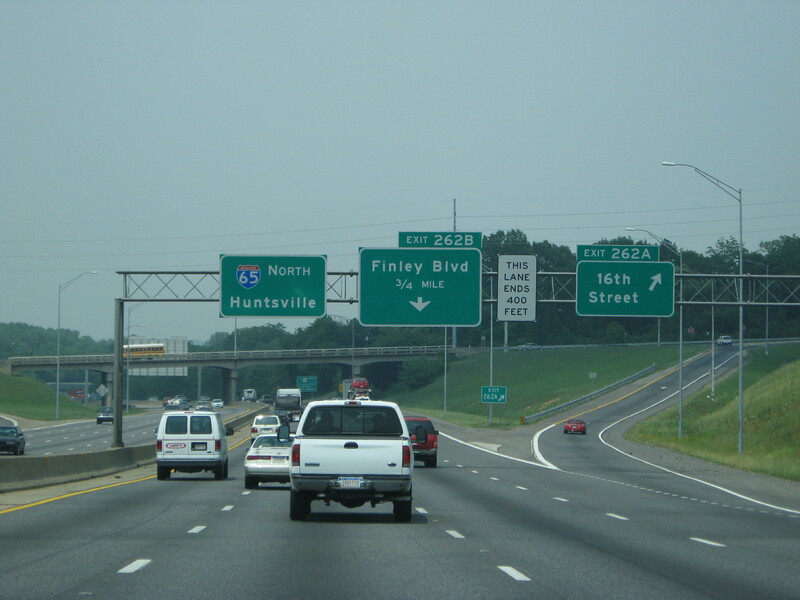 The exit for I-459 on I-65 NB. 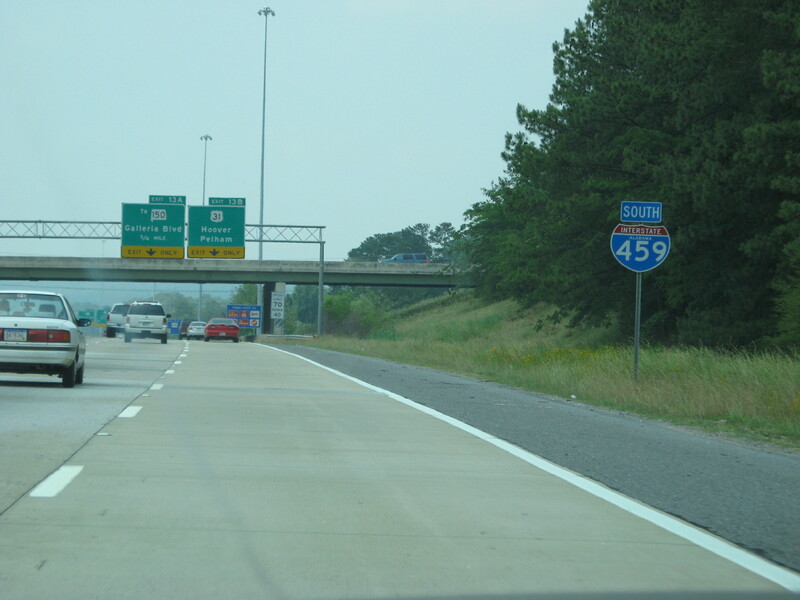 This I-459 shield is bubbly and has the state name in it. 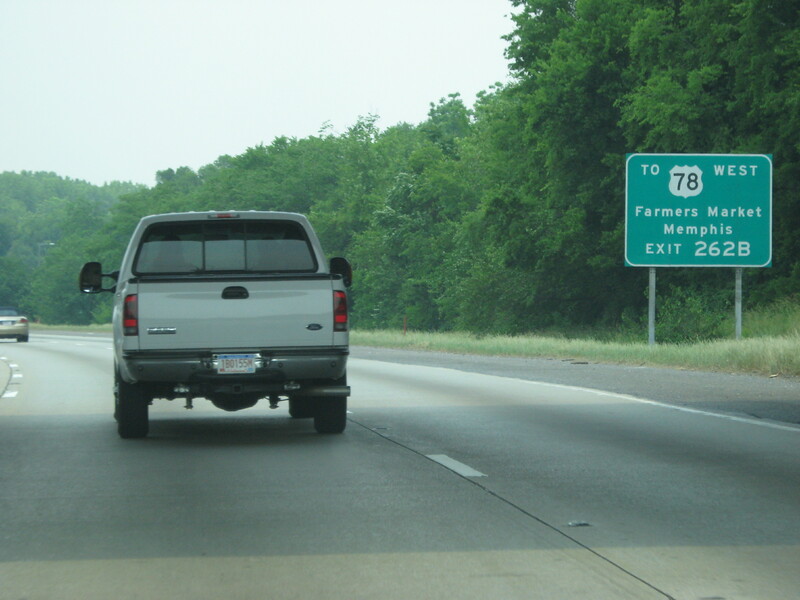 I-459 is still kinda urban out here. 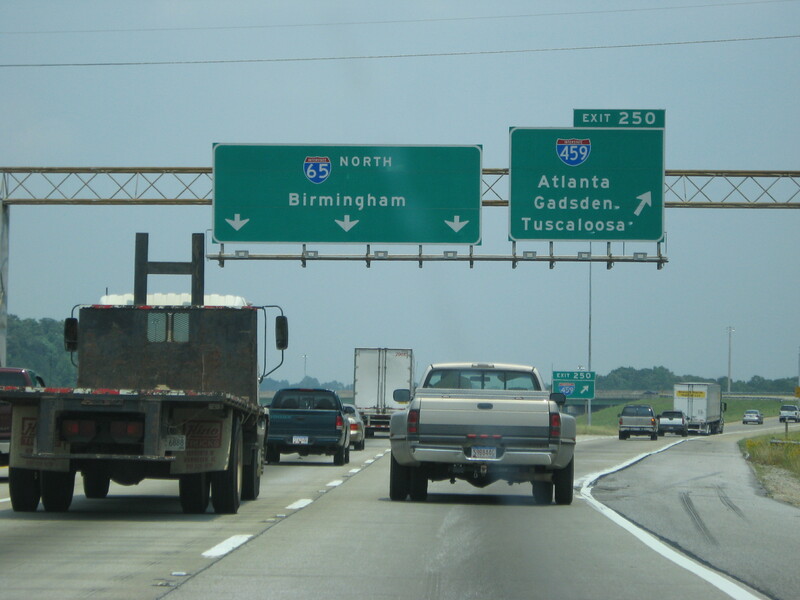 Apparently "To I-20" and "To I-59" are more important than I-459. 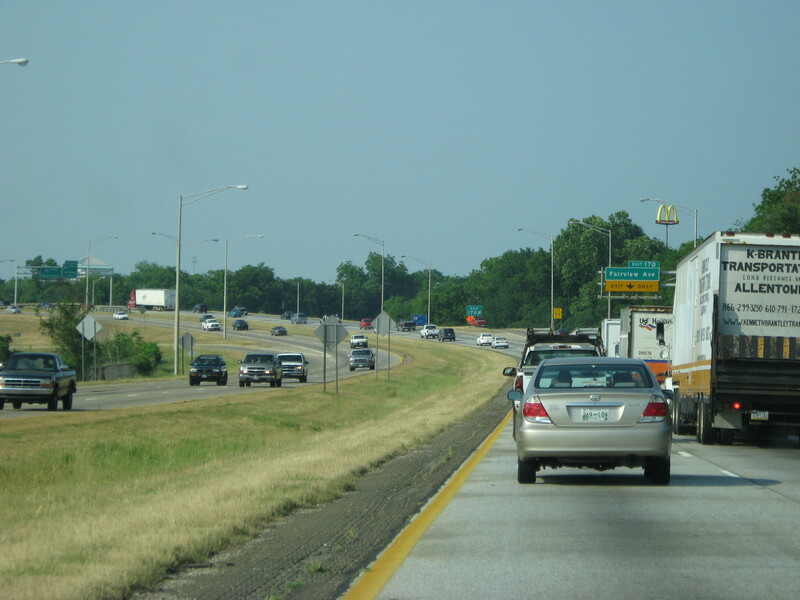 Now we're down to 4 lanes. Oh boy Mommy! Can we go? Can we?? Um.... End. 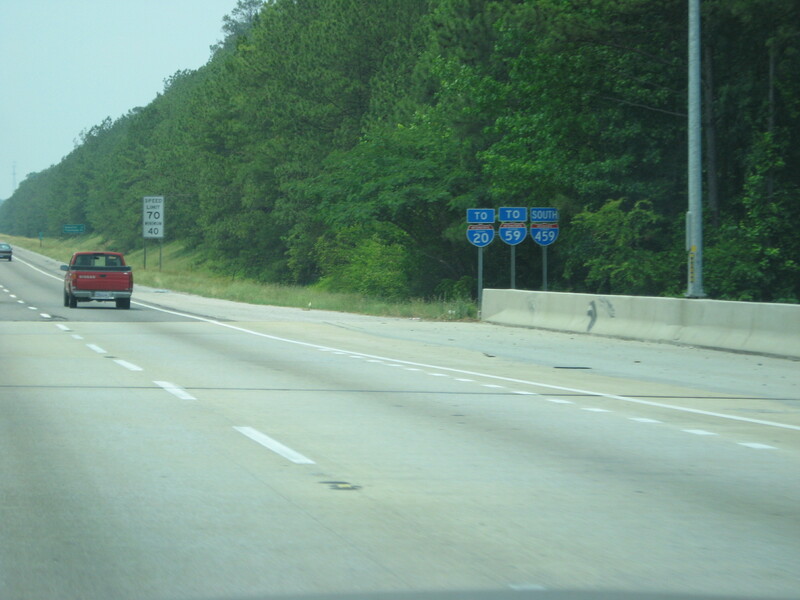 Here is the end of I-459 at I-20/59. 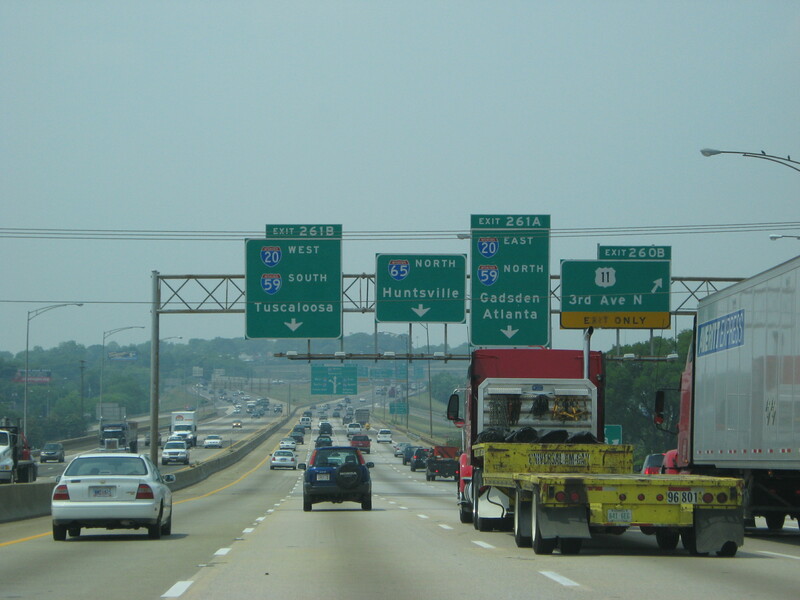 Interstate, US Route, and state shields all on one road. 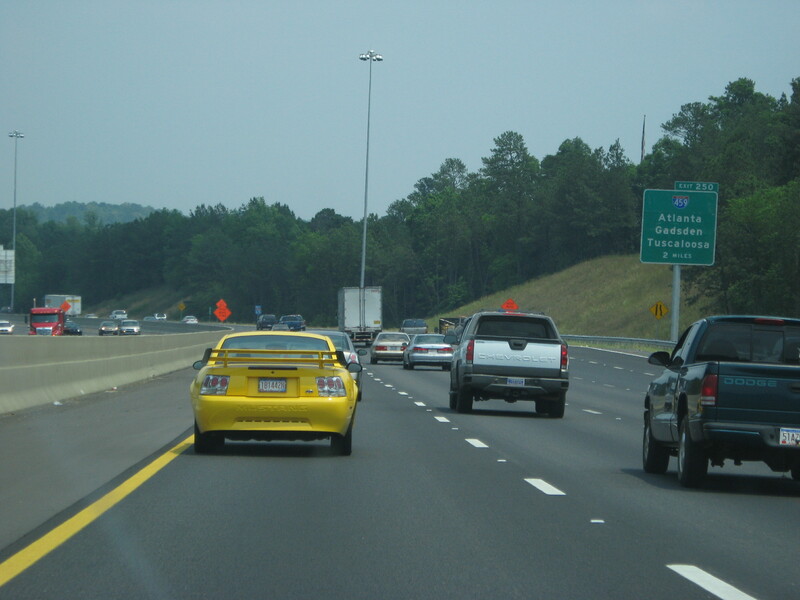 Six lanes on I-20/59. 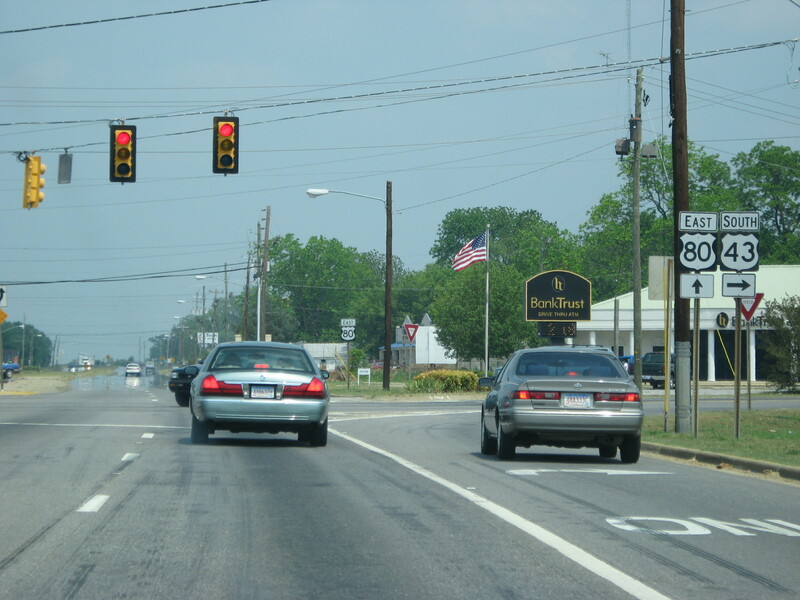 Now we're on US 11 South. See? 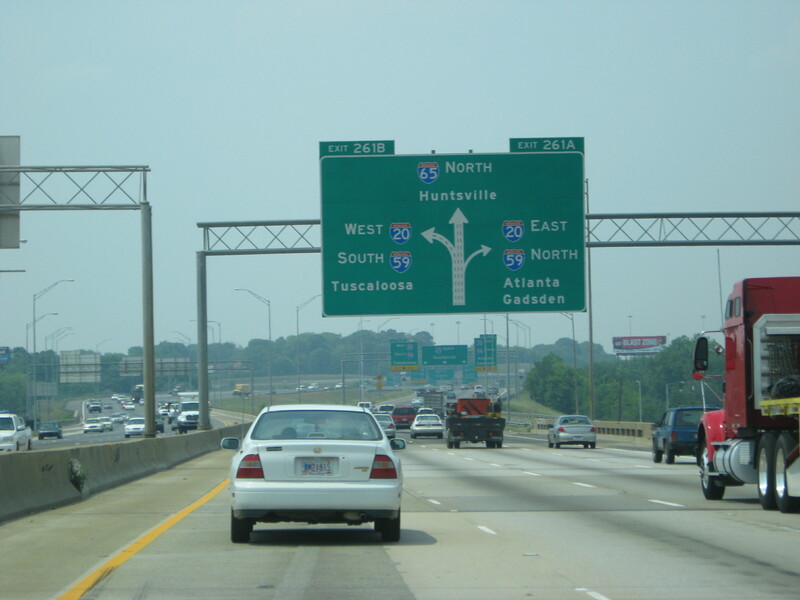 Now at AL 69 on I-20/59. 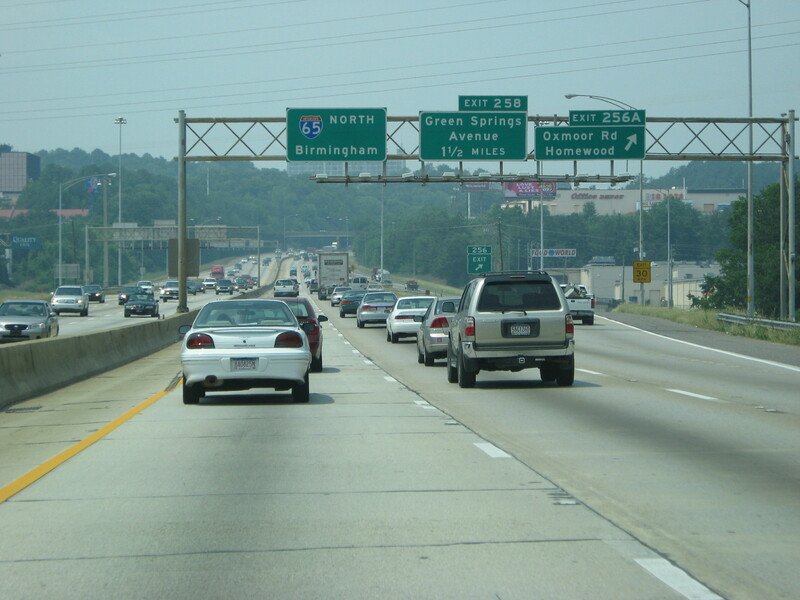 Scene of I-20/59. 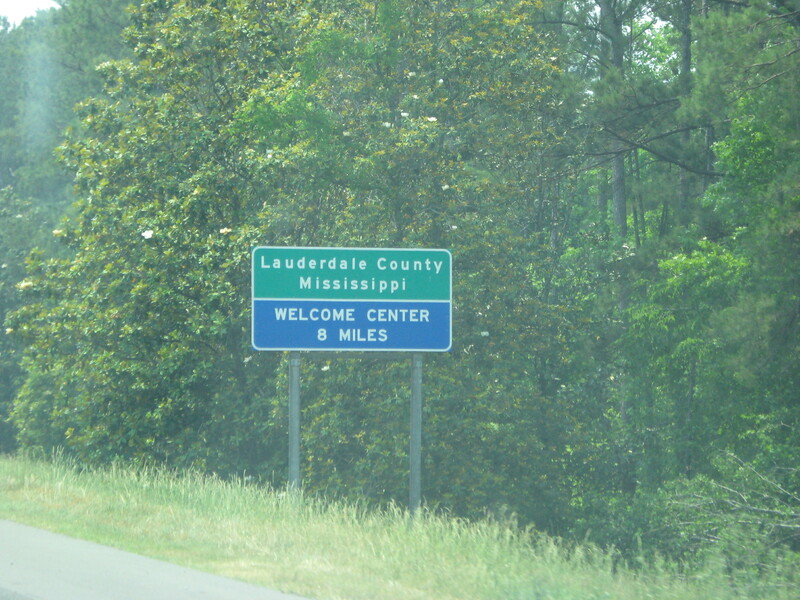 Entering Mississippi. For a second. 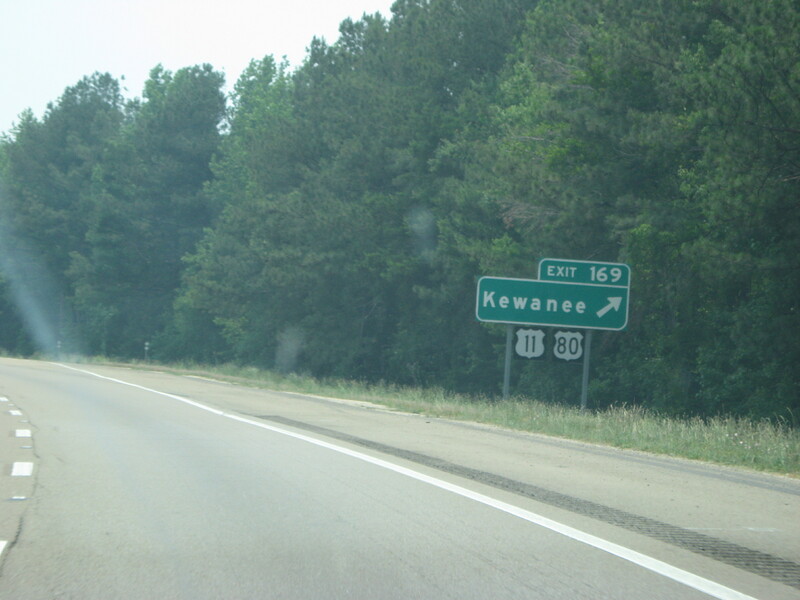 Welcome sign. 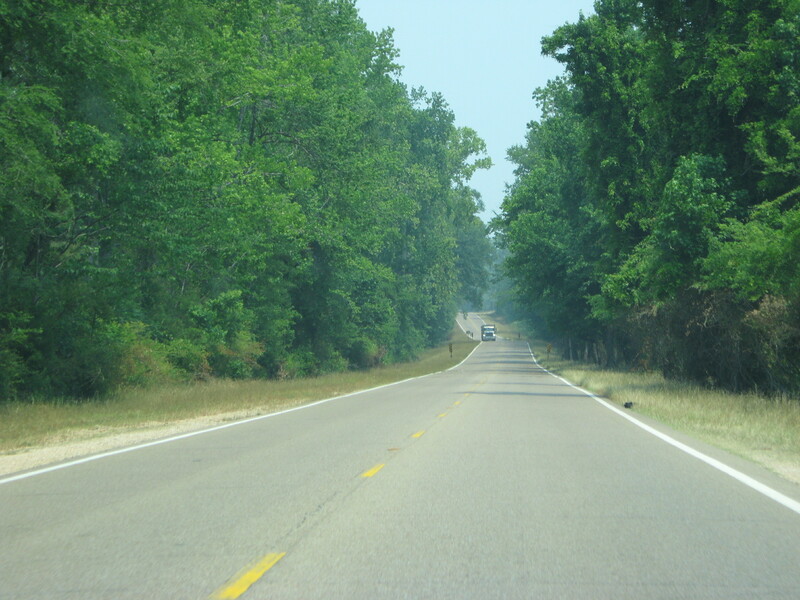 An interesting approach to a BGS in Mississippi. 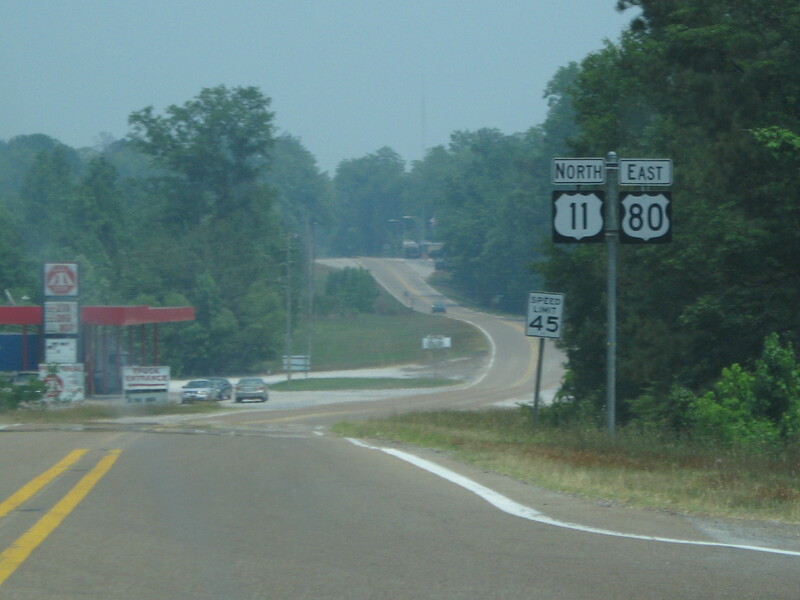 Headed back east, just west of the AL-MS line. 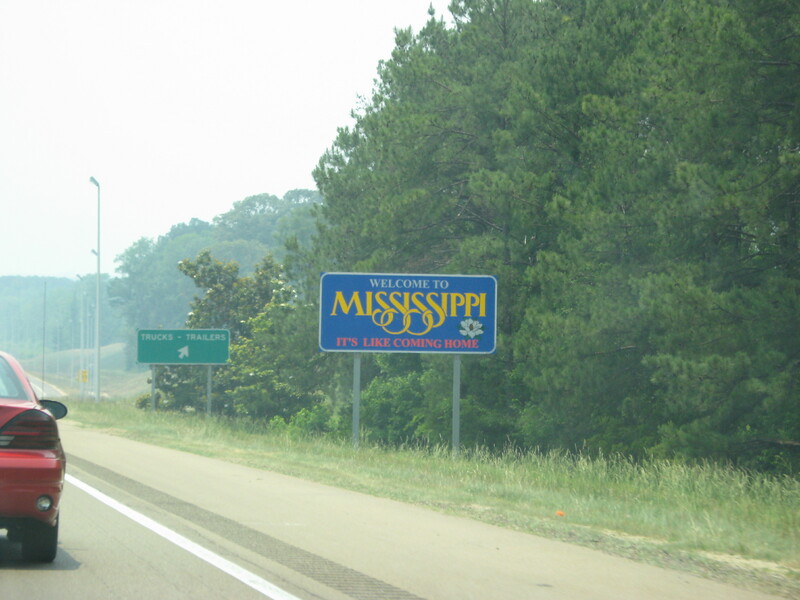 Last Mississippi picture. Don't worry folks. 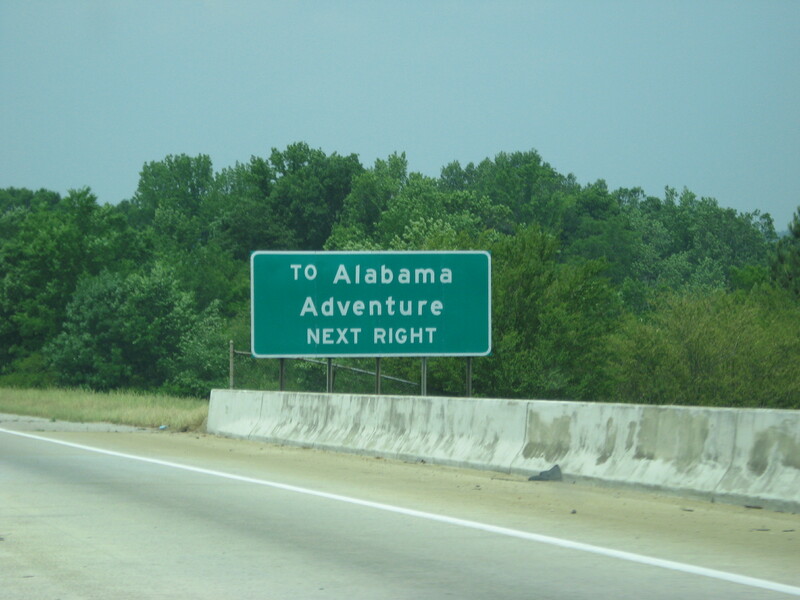 We're still on the Alabama Adventure! 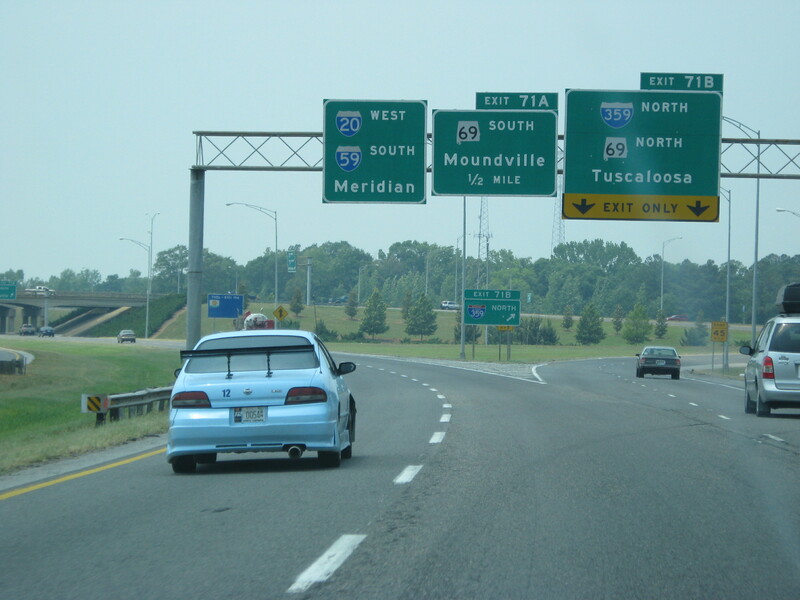 How I have missed Alabama in the past 5 minutes. Could this be..... 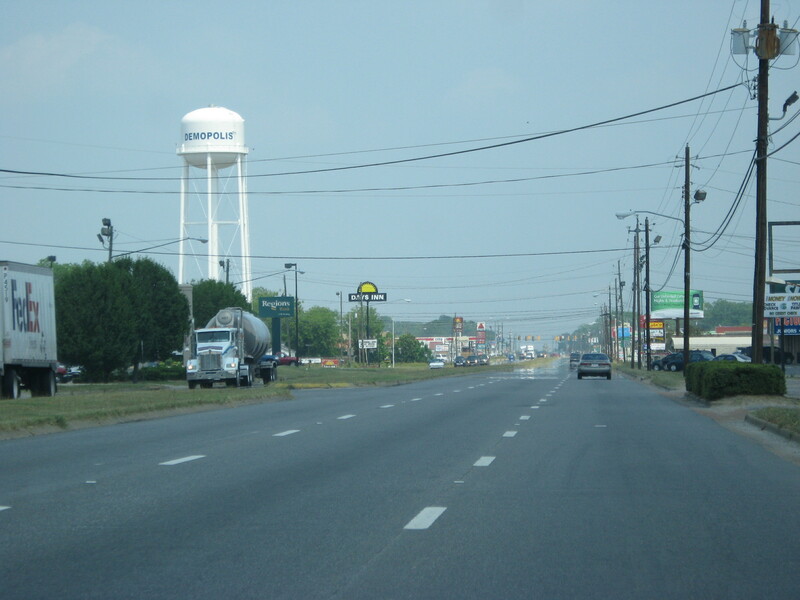 Demopolis?! 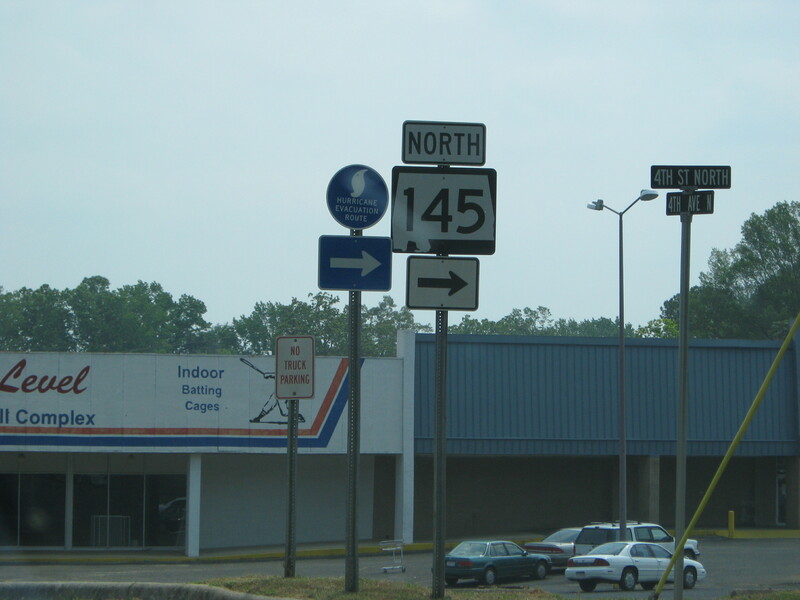 At US 43. 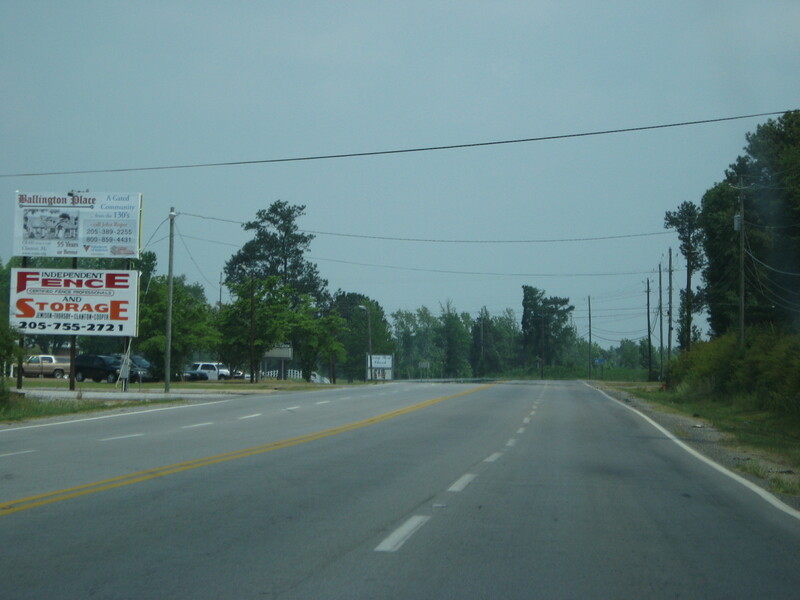 A funky 3-lane part of US 80 EB. AL 22 sure gets around! 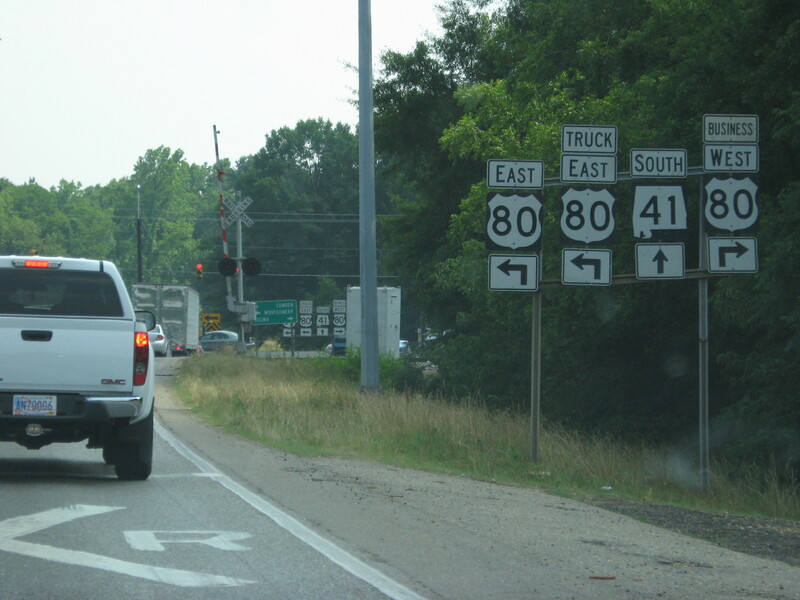 Why are US 80 and Truck US 80 signed together? 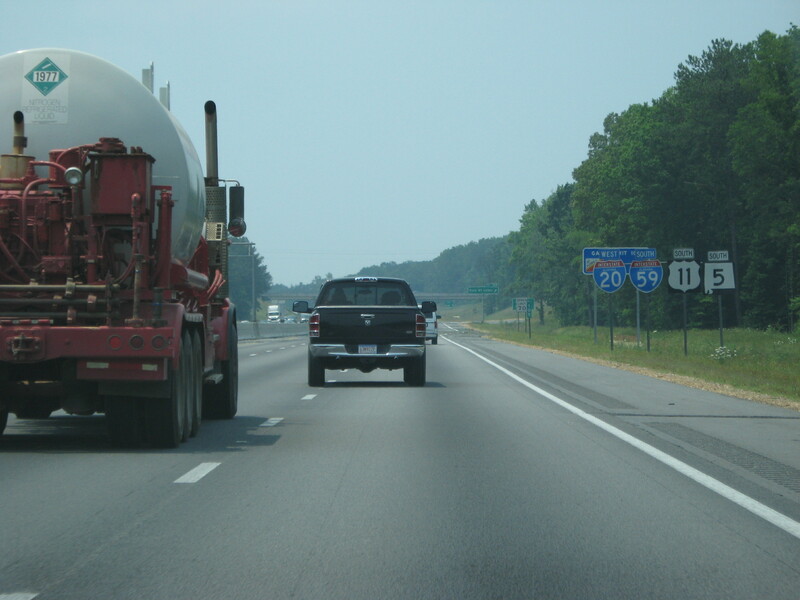 Shouldn't US 80 trump the Truck Route? 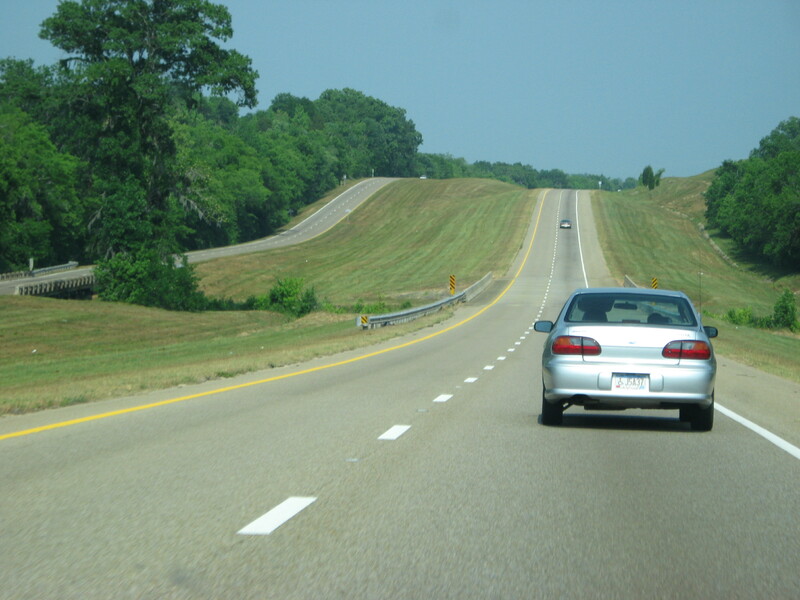 US 80 headed back to Montgomery. And we're almost there! 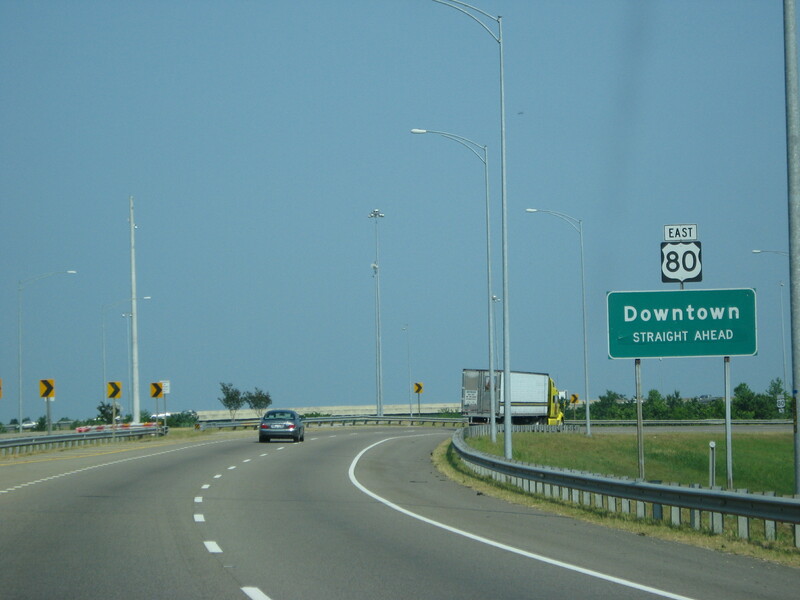 US 80 doesn't go downtown, but downtown is accessible via US 80. 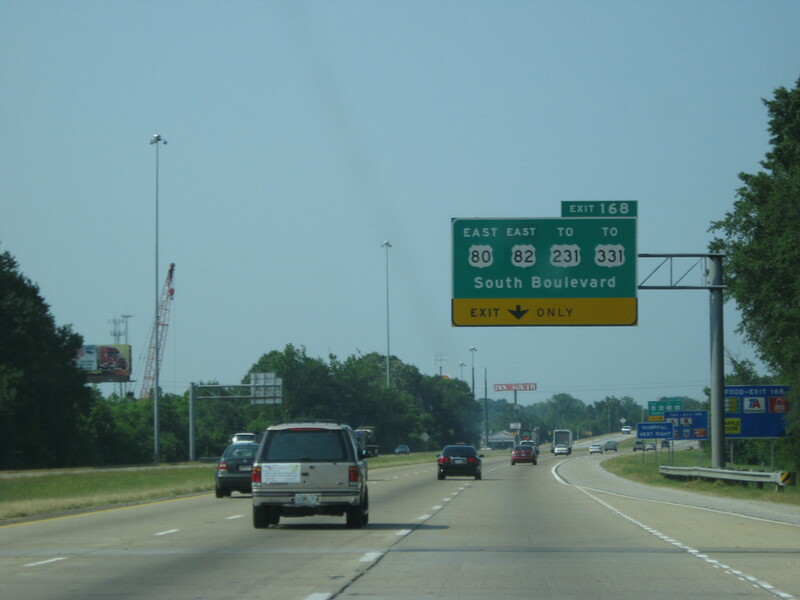 See, US 80 goes to I-65, which has exits for downtown Montgomery. 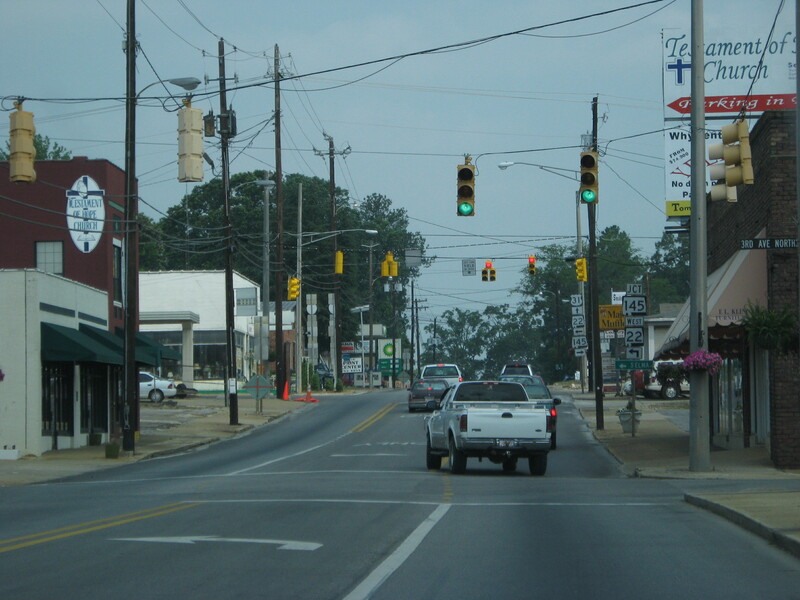 On the south side of Montgomery. 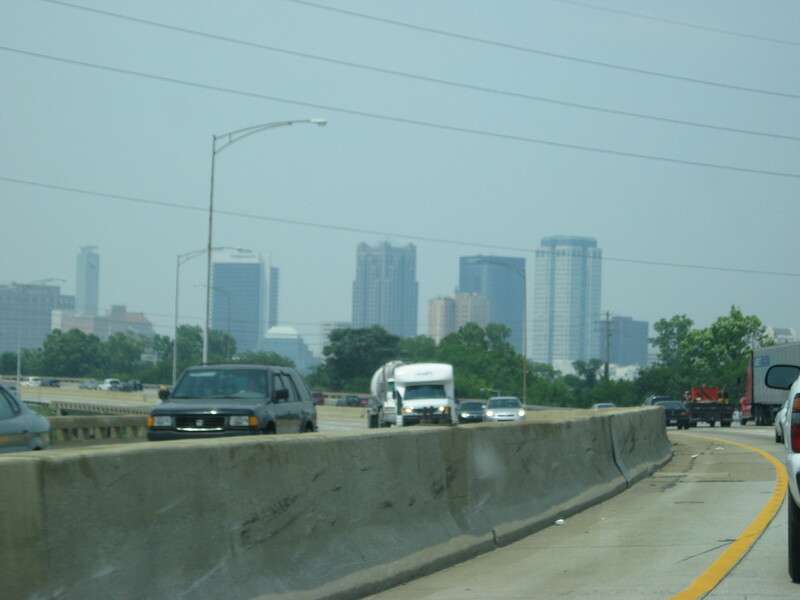 I-65 in the downtown area is pretty inadequate for the traffic volume. Wanna see the capitol? 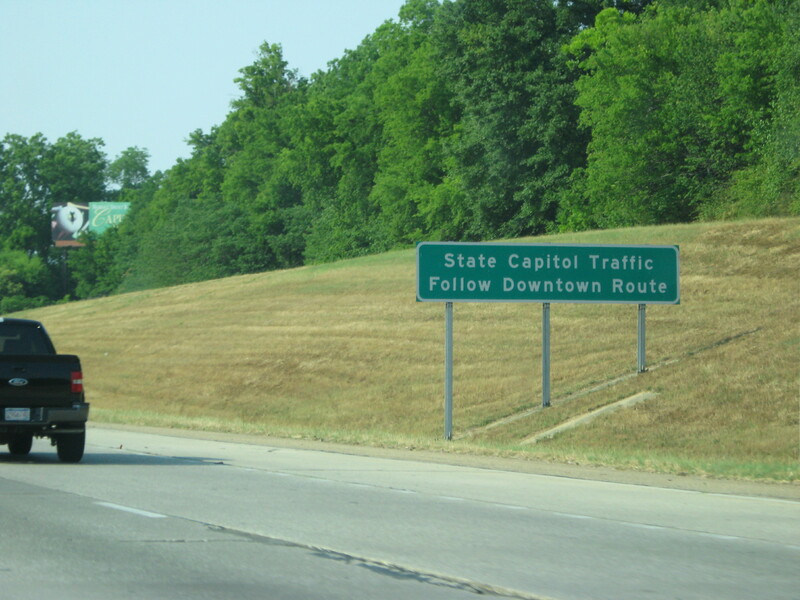 Mmkay, follow this route. 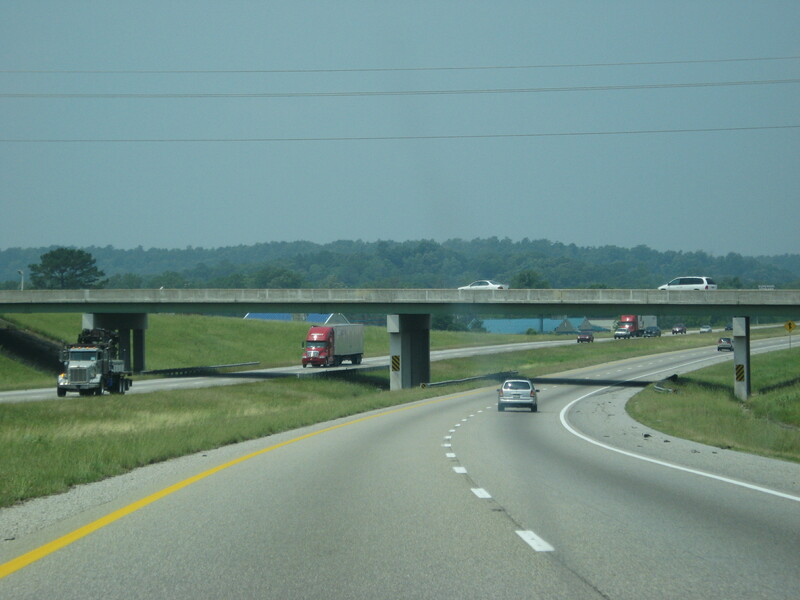 Here is the southern terminus of I-85 as viewed from I-65 NB. 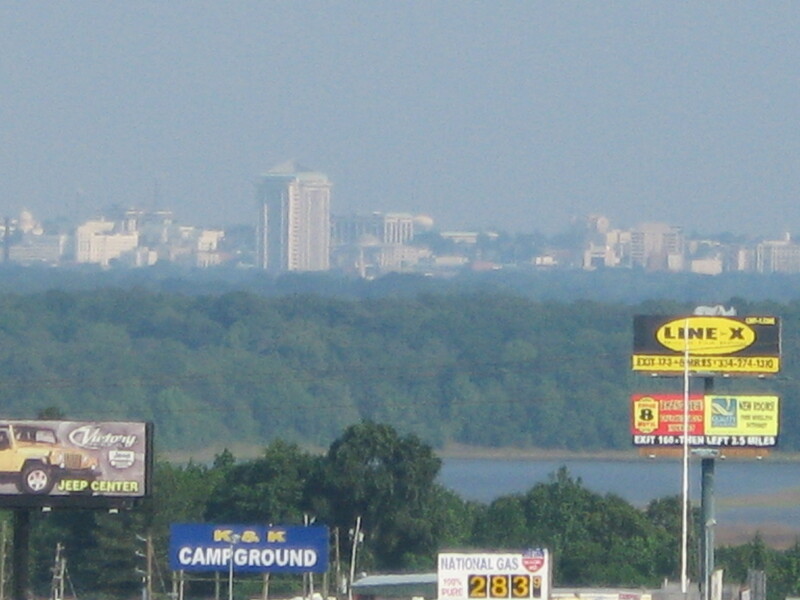 A super-zoomed in view of Montgomery's skyline from the hotel in Prattville, about 6 miles north of the city. 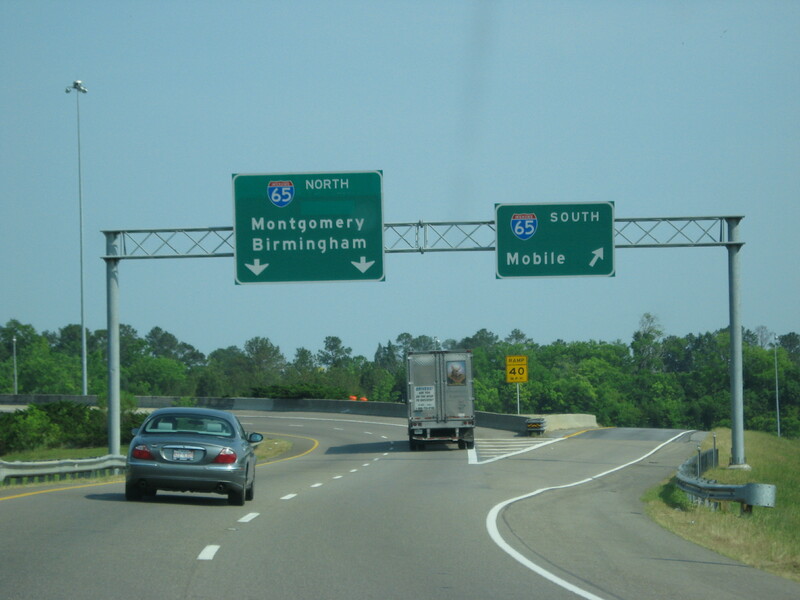 Hitting up the Montgomery Highway here on I-65 NB. 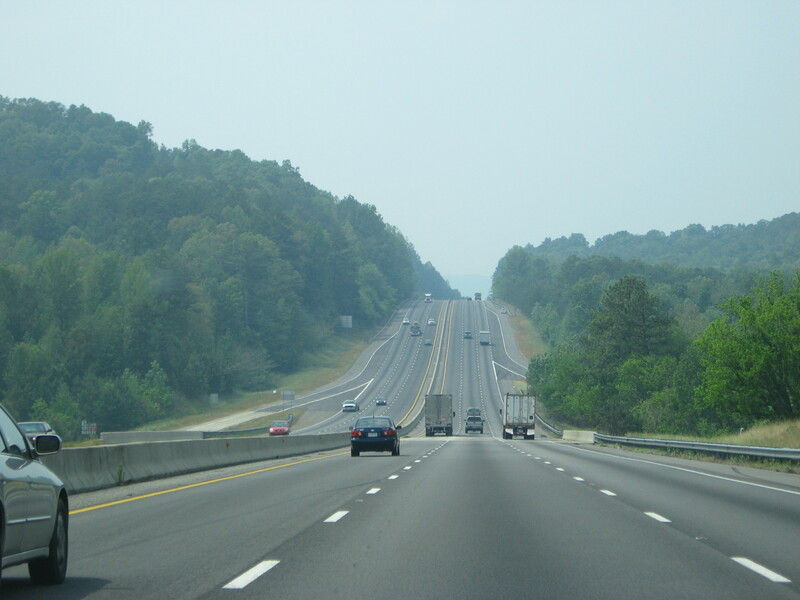 Just a look at the roads of Birmingham. 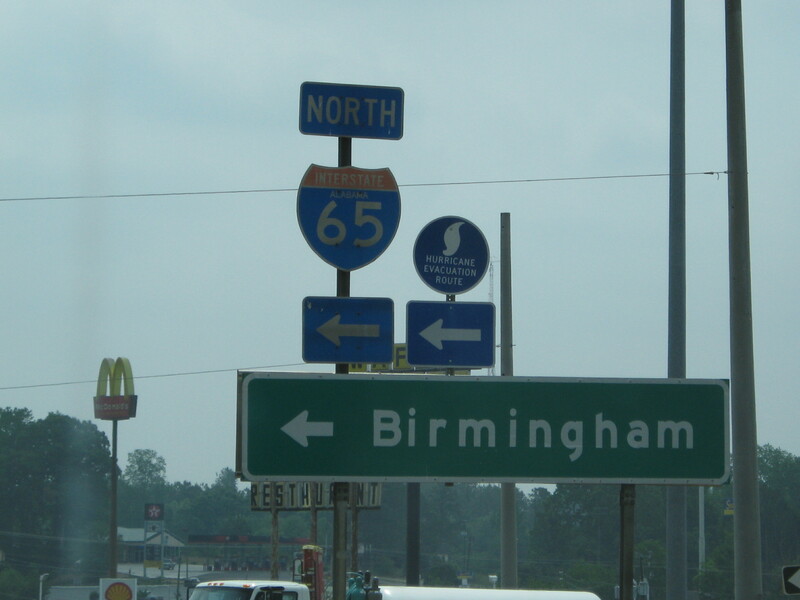 Oh look, we're at Birmingham already! 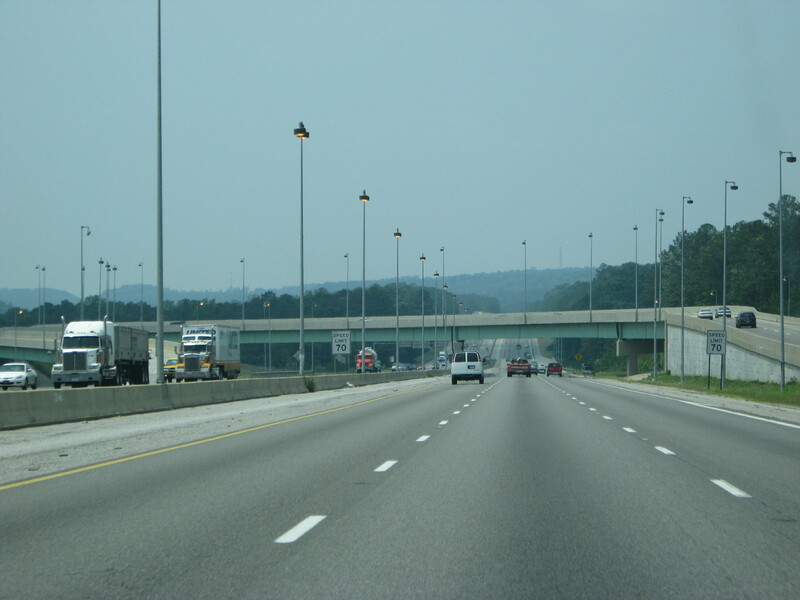 I-65 hits I-20/59 here in Birmingham. Oooh, fun diagrams! 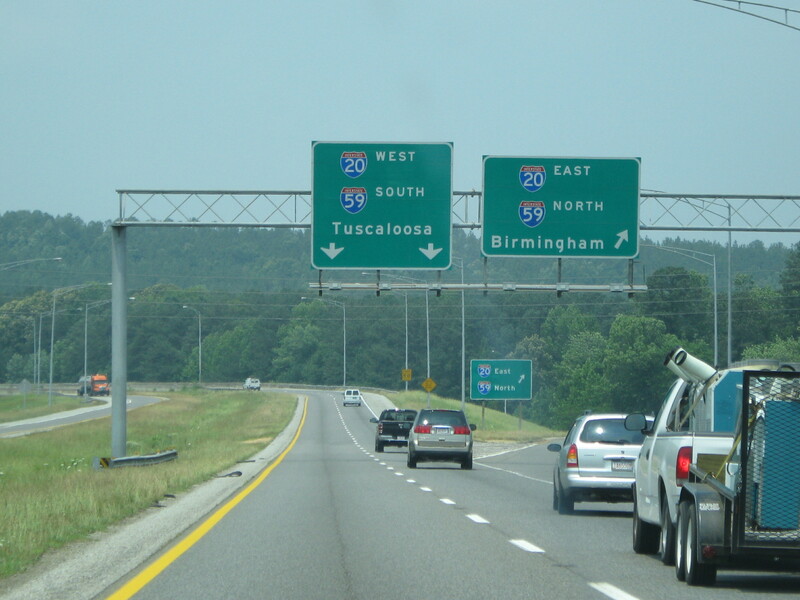 Just some roads in northern Birmingham. 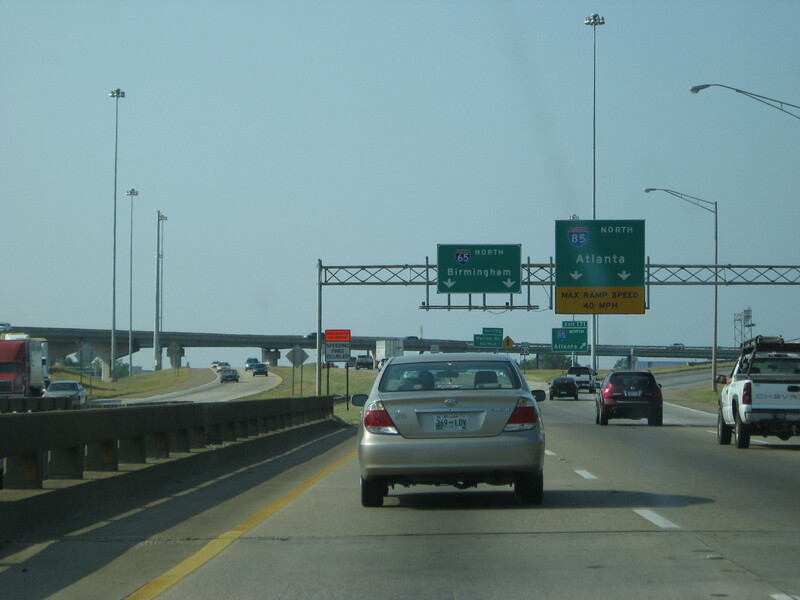 I guess that means that I-22 will one day connect to I-65 somewhere around here. 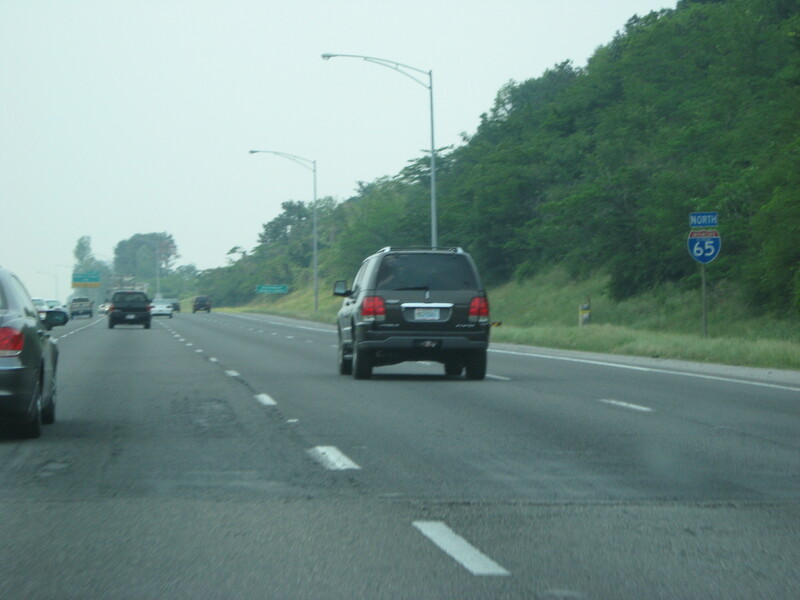 I took this because it was of an I-65 NB shield. 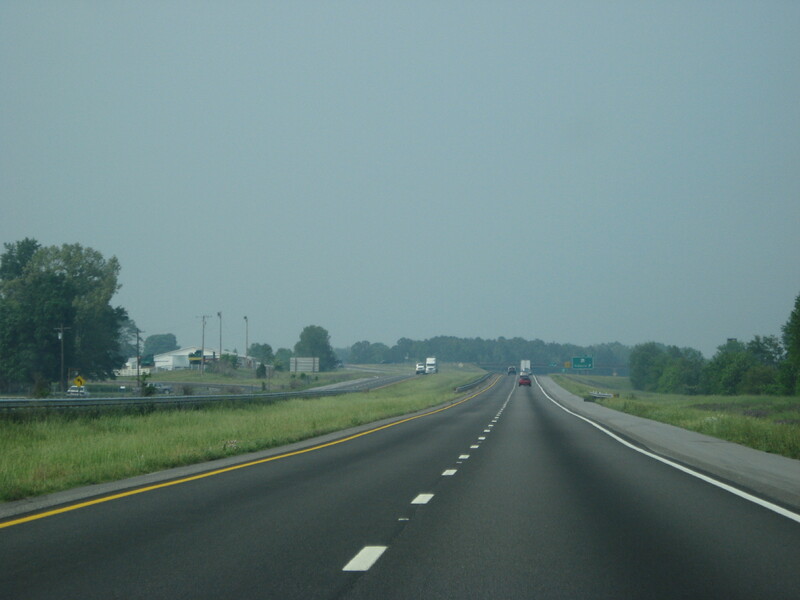 I took this because it was of an I-65 NB scene. 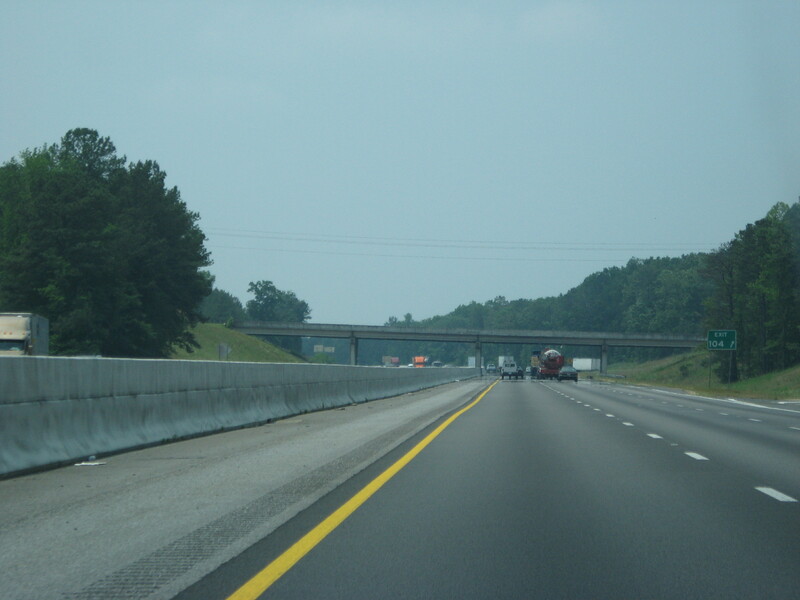 Our last picture comes near Huntsville on I-65 NB. Thanks for taking this adventure with me! Come back soon!